I have been pondering the many, many reasons I have to be thankful. The most important one is Jesus' resurrection that we celebrate today on Easter. Christmas brings promise, Easter bring fulfillment. No matter what else I have (or don't have,) I am MOST thankful for Jesus paying for my sins. For doing what I was not able to do myself. For making a way for me to be reconciled to God. Whether I live with plenty, like Abraham, or lose it all, like Job, I can know that my Redeemer lives! Growing up, our Easter morning church service always included singing "Up From the Grave." It is still one of my favorite hymns. I don't limit singing it to Easter time. It is a solid reminder of Whom I serve, the Risen Messiah. This Easter, whatever your family's traditions, or lack thereof, allow me to leave you with these words from John Newton, who lived his early life as a slaver, sailing the Atlantic, and his later life in service to his Savior. May we remember his words, and the truth behind them, and be thankful! and that Christ is a great Savior." One of my favorite things about being on the TOS Crew is the variety of curriculum and learning products that we have the priviledge of reviewing. We have had some outstanding products to review, and some less-than-stellar, or didn't-quite-work-for-us items. 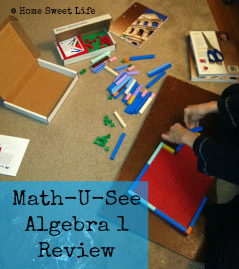 This review is about Math-U-See's Algebra 1 package that Arlene and I just had the chance to review. It is one of the outstanding ones! Step 1 - open the box and build something! In the box from Math-U-See we received: The Algebra 1 Student Text (and Test Booklet) [$32], Instruction Manual (and DVD) [$57], along with 2 manipulative sets: Manipulative Block Set [$38], and Algebra/Decimal Inserts [$22]. That's $149 for the complete set. See how all the books match? That will come in handy if you have a shelf-full of Math-U-See (MUS) books, as it makes it easy to find the set you need for each child. Arlene has always been a Kinesthetic-heavy learner. Gross motor skills have always been her forte, fine motor skills... she's getting there. So I jumped at the chance to use MUS with her for Algebra because there are a few concepts she just wasn't understanding with our current Pre-Algebra curriculum. When your child switches from the basic 4 functions (addition, subtraction, multiplication, and division) into Algebra, they sometimes struggle with the unknowns (those pesky letters!) In fact, I have some adult friends who struggle with Algebra for the very same reason. Their minds have worked so hard to understand the concrete operations of math, that they have a hard time grasping how you can solve for an unknown letter. "What does X mean Mom?" When we were learning about grouping like terms, Arlene got confused about my explanation of 1x and x being the same thing, and then she mistakenly thought that every time she saw an x it would represent 1- Ugh! Math-U-See and Steve Demme's DVD's to the rescue! In the beginning of the DVD's, Mr. Demme explains that each lesson (each new concept) would be presented in the DVD, and then the students would have time to practice the new concept in their books, using the manipulatives as needed. He also stressed that each student move at their own pace! This was key to Arlene who sometimes takes longer to learn a new math concept, but once she learns it, it sticks. Knowing that she could go at her own pace, and not a set schedule relieved a lot of pressure. Now, when you read the Instruction manual, (which I think is fantastic,) you see that since MUS is a mastery program, the student does NOT have to complete all of the pages in each section -IF THEY UNDERSTAND IT. I chose NOT to mention this to Arlene, so she just started at the beginning and came to see me when she got to the "Honors" page in section 1. She had taken the readiness test, watched the Lesson 1 section of the DVD, and done sections 1A,1B,1C,1D, and 1E in 2 days. Not bad for a girl who usually doesn't like doing her math lessons! Since she had been a self-starter, I excused her from doing the Honors page, and she moved on to Lesson 2. Now, lessons 2 and 3 took her more than 2 days each, but I want you to know that it has never been this easy to get Arlene to do her math. In fact, I had to make her take a break for a few days at the end of lesson 3 so I could catch up on grading her pages and spend time going back over a couple things she had not understood. There are 2 basic types of math instruction manuals I have seen, the "Looks like the student book, but with the answers in red" and the "Here's how to teach it, plus the answers" kind. This is one of the second kind... the better kind. Each lesson has examples for you to go over with your student (for if they didn't understand the concept from the DVD, or if they just need more time to process the information.) This is also helpful for the parent who hasn't cracked open an Algebra book in 20 years to review for themselves. If you have a self-motivated learner, you won't have to do anything...except grade once in a while! In my opinion, actual 'Algebra' starts in Lesson 3 with the lesson "Solve for Unknown with One Variable." Now, it's time to get out those manipulative blocks... or if you're Arlene, to take apart the Lego-man castle you built on the day the box arrived! (You might have used the blocks in lessons 1 and 2, but here is where the Algebra inserts are awesome! And just like that, Arlene understood that she didn't have to know what 'X' meant before she started the problem. So I must say "bravo" Math-U-See! I am a math junky. Yes, I'm the one with a box of trophies and ribbons from math competitions from Jr High and High School. I could have taught Arlene Algebra myself, using a bunch of cheerios and carrots, but this is SO MUCH EASIER! You don't have to be a math junky to have your students learn Algebra. You just have to be willing to invest the money in MUS. The basic manipulative set can be used from the earliest Elementary level all the way through Algebra 1. 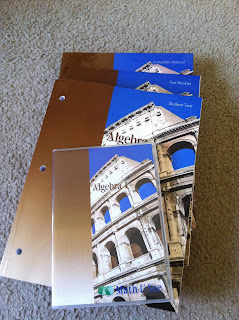 Once you've purchased the Instruction pack with the DVD's, all you'll need for your next Algebra student is to purchase the Student Kit again. So it is a semi-consumable product. If you're not sure what level your student is ready for, MUS has free downloadable placement tests on their website. That's how I knew which level to select for Arlene, I printed both the Pre-Algebra & Algebra Placement tests and gave her problems from both. Overall, I would give Math-U-See an A+! To see what other members of the Crew thought about the various levels, click the banner below! As Christians, we are called to live a life of service to God. This almost always means a life of service to other people too. The Apostle Paul talked about his life being 'poured out' on behalf of others. That is my goal in life, to allow God to pour out my life in service to others. It is often difficult, but not impossible. The first step always seems to be a realization that God did not give me this life to live selfishly. So instead of trying to find ways to make myself happy, I need to look for ways He wants me to serve others...then I find true joy. How do we serve others? Well, sometimes it's kind of like our offerings at church, where we shouldn't let our right hand know what our left hand is doing... sometimes. So how do YOU serve others? Think about that for a moment before you read on. Maybe you watch another Mom's children so she can attend Bible study, maybe you cook meals for the local homeless shelter, maybe you give money to support a missionary. Whatever you are doing- continue on! Then ask God: should you be doing more, or are you right where He wants you to be?! This life of service is a balance. My oldest daughter found it strange that this is one of my favorites, because she said "but you're always going and doing!" True, I am often going and doing. But I am focusing on what God tells me to go and do. I cannot be disobedient to His will for my life and still find joy. I am so thankful for a husband who understands my need to serve. I keep a planner at home, and a calendar on my phone, and I trust God to give me the strength and time needed to do His work. My first desire is to serve God. He directs me to serve my husband and children, and then He blesses me with other opportunities as well. So if my week looks like this: homeschooling the girls, paying the bills, working at night, running a 4-H meeting, helping friends prepare for conventions or speaking engagements, answering questions and giving directions at Conner Prairie, signing at church, and planning dinner every night... well, you might only see a part of it and wonder if I'm very organized or not. Wonder away, I'll continue to go where God leads and do what He wants. Sometimes people think I am doing too much, sometimes they probably think I don't do enough. It really doesn't matter to me what YOU think, it matters what GOD thinks. I have found that He is a much better organizer than I am. So I listen to His voice for when to say "yes" and when to say "no." Sometimes, I get tired. He understands my human limits. Often when I feel as thought I have been used up, He provides a wonderful respite, a small time of rest to once again focus on how awesome it is that God would allow me to join Him in His Kingdom's work. I have learned that in order to be poured out in service for others, I need to first be filled up by the Holy Spirit. If you're not being filled, you run empty in a hurry, and your service is shallow and self-seeking, not God honoring. So first- go be filled! Ask Him what he wants you to be doing, and remember that you are to do the serving with HIS strength, not your own. Moms serve everyday. Sometimes that is all He wants you to do, to be a wife and Mom. That is enough. Maybe your children are older, or younger, and God has more planned for you. Don't be afraid to ask Him. He will give you the strength. So whether you are being called to volunteer at church, with a 4-H club, at the local dance studio, or to tutor at the community center, know that He has the perfect plan for your life. A final word of advise... expect that plan to change over time. Serve in His strength, and find joy. Deep, deep joy that the world cannot comprehend! Emily has has some informal logic before this, but I think she would be better able to understand the rest of the course if we stop and take a few months to go back over a course in informal logic before we continue in the book. Thankfully, Classical Academic Press (CAP) has "The Art of Argument: An Introduction to the Informal Fallacies." 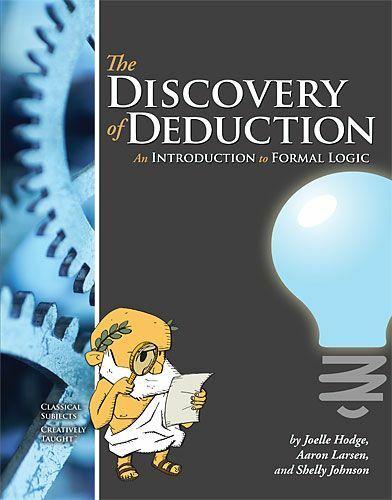 CAP recommends using an informal logic program before beginning "The Discovery of Deduction" and even thought their website says that "Discovery of Deduction" can be used as a stand alone program, I would not recommend using it until AFTER your student has done quite a bit of informal logic. Emily has spent some time on informal logic, and she loves to read Sherlock Holmes (I know, it's not the same thing,) yet, she still had a difficult time with some of the sections. We have been working on this review for about 5 weeks, and she is in chapter 3. (There are 9 chapters total.) Since I consider Emily above-average in both her verbal and comprehension skills, that leads me to recommend this course for High School Juniors or Seniors. Now, if you've been Classically educating your children for a few years, and you spent their Jr. High years on informal logic, then your children may be ready for this course as a Freshman or Sophmore. On their website, CAP has a free PDF download of a suggested schedule for the course. This, along with the sample chapter, can allow you to see how much work is assigned for each day and integrate it into your student's schedule. 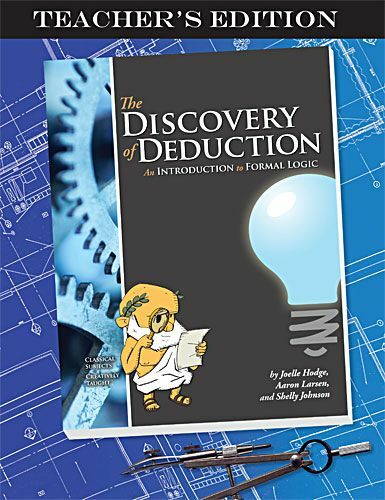 I do think it is a quality book, and I recommend that you and your children study both informal and formal logic. If you have any doubts as to why... just watch the evening news, you'll see example after example of logical fallicies and invalid arguments. You will also see examples of people NOT using valid evidence to support their claims. One part of this book set (we received both the student [$26.95] and teacher [$29.95] books for the review) I really liked is the Glossary, which is in BOTH books. Not only does it give the short definition of all these new-to-me terms, it has the section references listed as well (like an index,) making it easier to go back and review the term in the context it was presented. My total school experience in logic consisted of a couple months of informal logic woven into my High School Government class- a LONG time ago! When we do pick this course back up to complete (after a brief trip back through informal logic,) I think I will have Emily make a vocabulary list/ glossary of her own as we go through each lesson. Spending the extra time necessary to rewrite the terms in her own words should help her solidify the concepts better as we move through each chapter. Check out what other Crew reviewers thought about this set by clicking the link below! How often do you get discouraged? I have felt both of these over the past month. They don't overwhelm me very often, but I can feel the weight upon my shoulders. I sometimes have felt like Bunyan's "Christian" in Pilgrim's Progress, I want desperately to shed this burden, but am unsure how to do it. Sometimes the journey seems long, and frought with dangers. Have you been there? Are you there today? This journey of educating our children IS a long one, and while there are dangers along our path in life, feeling discouraged or worn thin IS NOT what God wants for us. He wants us to be victorious in Christ. So how do we get from where we are to where we know He wants us to be? A couple obvious things come to mind: prayer, and spending time in God's word. Allow me to point out another helpful thing that you might have overlooked: attend a home school convention. That's right, invest a few dollars into your sanity, your OWN education, and the welfare of your family. You (and your family) will be glad you did. 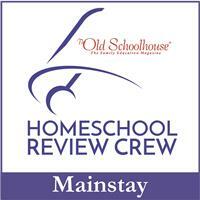 Today I am thankful that it is only 2 weeks until I get to attend a homeschool convention! I need the refreshment, I need the encouragement, I need the time to focus on my own education...I even need a couple days away from the children I love so very much! or maybe it sounds like "Get Back Up " by Toby Mac, then maybe YOU NEED a convention too!!! BUT IT IS NOT OK TO STAY THERE!!! If you are struggling, if you are feeling lost or discouraged, or even if you just need a couple days away (or even just A DAY AWAY)- figure out a way to get to a convention near you! If you are needing refreshed, find a way! Living in the midwest, there are several for us to choose from, local, state, and regional. Each offers something slightly different, which is why I often attend two in the same year. I am doubly blessed because my Mom lives close enough that the girls can spend a couple days at her house, so sometimes I get to go alone. Ok, I'm not actually going alone this time... a bunch of us Mom-friends from church are going- girls' night! You too can be thankful for Homeschool Conventions! One last word of advice- wear comfortable shoes and drink lots of water! So, what am I looking forward to at convention? Lots of things! 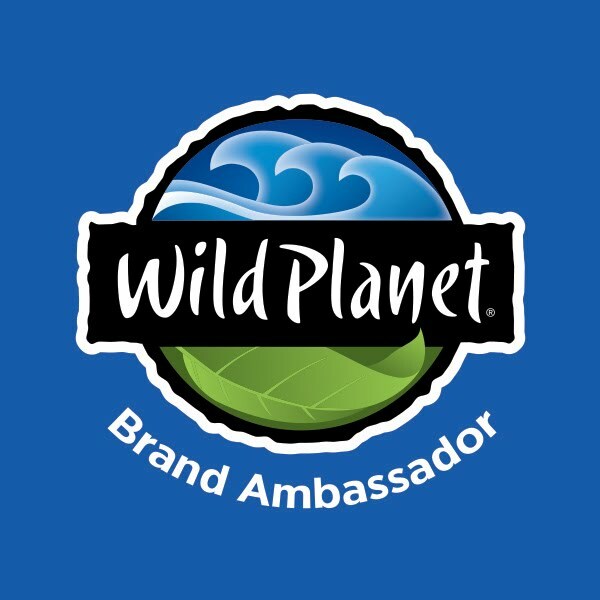 I'm looking forward to hearing some of my favorite speakers, like: Carl Kerby, Diana Waring, Jim Weiss, Todd Wilson, and Janice Campbell. I'm looking forward to seeing and holding in my hand a couple things I *think* I want to get for the girls for school for next year, just to make sure my online research has led me to the right choice. I'm looking forward to searching the vendor hall for hidden treasures! I'm looking forward to seeing some of my far-away friends that I only get to facebook and e-mail the rest of the year. When you focus on the refreshing a convention can give you, and take care to NOT be overwhelmed by the choices, you too can be thankful for homeschool conventions! Gardening 202- a seed giveaway! The calendar may say it's the first day of Spring, but here in Indiana it is still winter. The sun was shining earlier, but the temperature was only about 30 degrees and the wind was fierce. So, to in an effort to imspire you to think about Spring, we're hosting a little seed giveaway! For the past few years, our 4-H club has had a seed sale fundraiser to help pay for trophies and plaques for the county fair. When the order went in this time, I added a few extra packets to MY order, so I could share them with one of you! I tried to pick easy to grow varieties, so even if you're a novice gardener, you should have good results. If you would like to know more about these varieties, you can click over to my earlier post about getting ready to garden in http://home-sweet-life.blogspot.com/2013/01/gardening-101-where-do-i-start.html then click on the link near the bottom about FEDCO seeds. 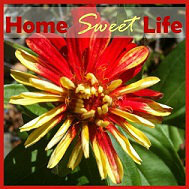 So, get ready, get set, enter to win some seeds for YOUR hopeful garden! Be sure to tell your friends! The giveaway will end at 11:00 p.m. EST on Saturday, March 30th! If you're known us for a while, you know that we are almost always working on a hands-on project, or going on a fieldtrip. These two go hand-in-hand because they take learning to a deeper level. Making something, or doing something related to what you've been studying can help you retain the information. I've often said "Life is a Fieldtrip!" When our girls were little, we went on a fieldtrip almost every week. Friday was set aside as the day to be out of the house "doing" something. 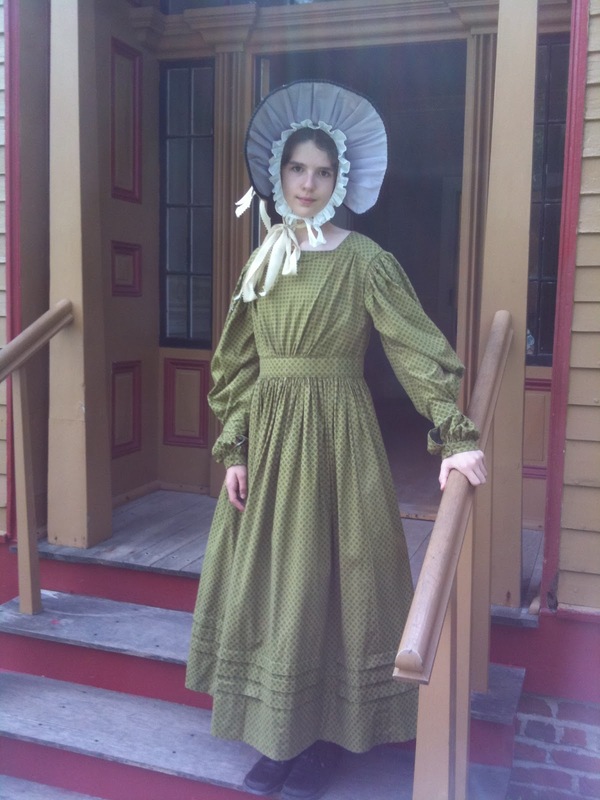 While we don't always go on a fieldtrip every Friday now that the girls are older...often they volunteer at Conner Prairie as costumed interpreters on Fridays. So sometimes they ARE the fieldtrip! Don't worry, we still get in a LOT of fieldtrips and hands-on projects. Below you'll see pictures of just a few of the places we've been, or things we've been doing over the past year. If you subscribe to our blog, every Thursday you'll find a "Thankful Thursday" post, many of which highlight our favorite activities and/or places to go. Remember, this is a blog hop! Click the links below our pictures to learn about how other families use Hands-On Projects! What could be more Hands-on than ice cream? How about a trip to the Children's museum of Indianapolis with your cousins? 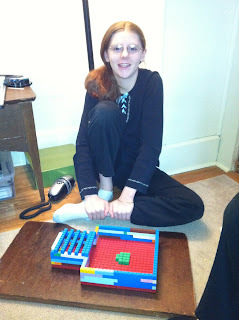 Legos- need I say more? The swallowtail caterpillar eating our parsley, we consider it a fair exchange! A spelling lesson, or a tasty snack? Why not both! Here are a couple shots of the girls at work at Conner Prairie, "Being" someone else's fieldtrip! Schooling in the Kitchen- messy, yummy fun!